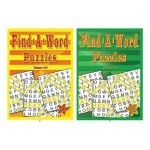 Wholesale coloring and work books for home or school. Baby Looney Tunes Color Books $0.95 Each. The perfect wholesale coloring book for your child's artistic development. 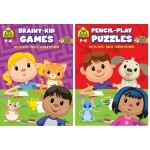 96 Pages Baby l..
Big Fun Coloring Books $0.90 Each. Wholesale coloring book with activities. 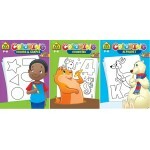 Let the artist inside your kids come out and have fun color..
Cars Coloring Books $0.90 Each. 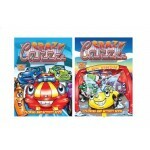 Crazy Cars coloring books.96 Pages of coloring & activitiesCase of 48..
Color & Activity Books $0.95 Each. This wholesale activity book comes with different types of exercises for the young developing b..
Crossword Puzzles96 Pages Case of 48..
Dino Coloring Books $0.90 Each. 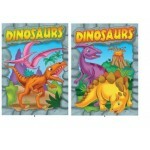 Dinosaurs coloring books.96 Pages of Coloring & Activities.Case of 48..
Dino Coloring Books $0.95 Each. Dinosaurs foil & embossed coloring book.96 pagesCase of 48..
Great way to exercise the brain on a daily basis.96 pages Case of 48..
Ghoul School Coloring Books $0.70 Each. 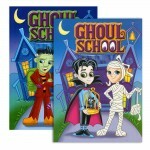 GHOUL SCHOOL Coloring & Activity Book - Coloring & Activity Books at low wholesale prices. 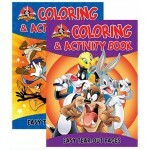 d..
Looney Tunes Color & Activity Book $0.95 Each. Looney Tunes Coloring and Activity Book.Soft Hard Cover with paper back. 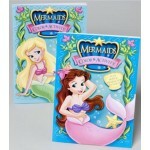 2 titles in each case.&n..
Mermaids Coloring Books $0.90 Each. Keep your kids busy with all their favorite mermaid characters. 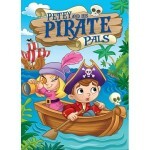 Easy enough for very young..
Pirates Coloring Books $0.95 Each. 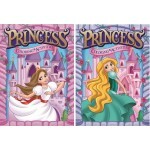 Wholesale school pirate coloring books for back to school.96 Pages of funCase of 48..
Princess Color Book $0.90 Each. 96 pages of coloring and activities.Case of 48..
96 Pages of total fun for the young mind. 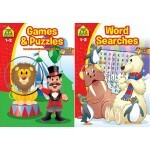 They come assorted in alphabet, counting & shapes.Case..
School Zone Puzzles and Activities $0.95 Each.